This stuff is filthy. The drums are alive, the guitars are probably a little too distorted to be completely audible, and the vocalist is actually angry. The short songs (12 tracks, 22 minutes) are on par for a grind band, but close listening leads to more than just blast beats and tremolo picking. There are high-pitched dissonant blasts of guitar and sludgy, dirge-like moments (~0:30 of Meursault is a great example) that seem to be put there just to make sure things don't get too comfortable in any one genre. There are a few angular, mathcore-influenced grooves (the end of 1518, especially) and an occasional dissonant sweep flurry for good measure. The voice that provides most of the vocals is guttural and saturated, bringing to mind a little bit of early Coalesce (which is always a good thing) and there are several places where a more manic, less “trained” sounding voice adds to the correlated chaos this band produces. The frantic, frustrated feeling the music creates is helped immensely by the incredibly live-sounding recording quality. The drums pound, maybe even pulling against the tempo a little, forcing the rest of the group along. There is a somewhat claustrophobic feeling in the record until the track “Swing” (track 9) which features eerie feedback-laden guitars that sound like they might have been recorded in a cave. These guys aren't trying to build spiral architecture, but they will make you bang your head until your dizzy, and probably wanna circle stomp with your buddies in a warehouse. A solid grind-ish record, with enough variety to warrant multiple listens. 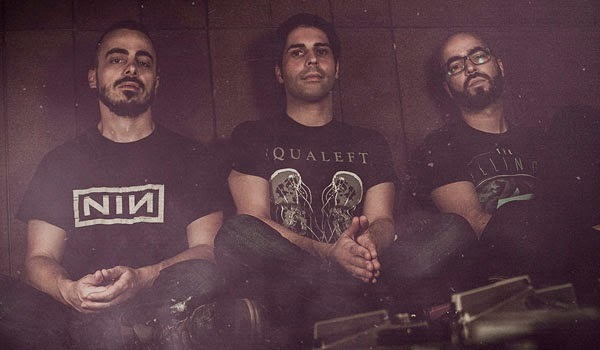 With the release of Wells Valley’s debut album “Matter as Regent” just one week away, the Portuguese sludge/post-metal trio have teamed up with America’s leading extreme metal magazine Decibel to give fans a chance to hear the entire album before it is released. Listen to “Matter as Regent” HERE. The band recently released a music video for the song "Star Over a Wheel". The video was shot byAndré Godinho for StopWorking&GoOutside and you can view it here. The forty minutes long, 6-track album is an incredibly unpredictable and evocative release, blending the monolithic heaviness of sludge/doom with the intricacies and atmosphere of dark post-metal. The trio have crafted an organic, intriguing and crushingly heavy sound that falls somewhere between the suffocating atmospherics of Neurosis and Cult of Luna and the complexities of Voivod and Ved Buens Ende. Co-released by Raging Planet and Chaosphere Records, "Matter as Regent" is a fascinating release that sets Wells Valley as one of the most promising and innovate bands emerging from Portugal in the last couple of years. 'Bloodcvlts has been scheduled for release on March 23rd and is now available for pre-order through the Season of Mist shop. 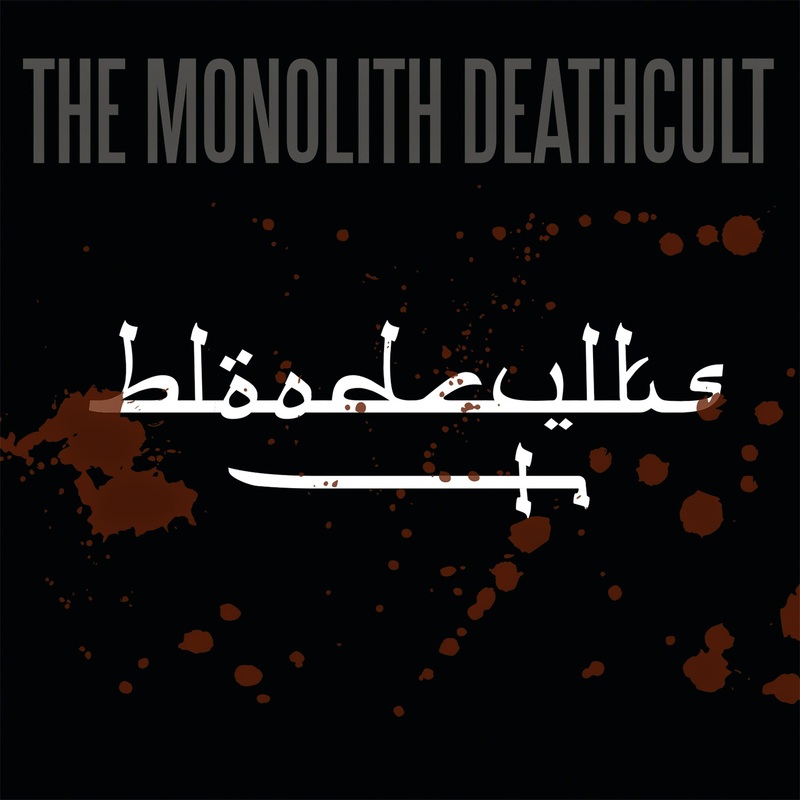 "To fill the gap between the musically extremely disappointing 'Tetragrammaton' and their newest assault on the fundamental canons of good taste in art in general, THE MONOLITH DEATHCULT decided to record their first EP 'Bloodcvlts' containing 6 crushing tracks with heinous lyrics (which will get stuck like a fishbone in the throat), a remix of 'Todesnacht von Stammheim' (let’s try to polish the turd), a live track recorded somewhere in Europe and very rare tracks inspired by their performance on National Icelandic Radio." "With deep regret we have to announce that Ivo Hilgenkamp will not return to us. Ivo fell for the hipster Djent /ˈdʒɛnt/ movement and left the flock for a spiritual journey to the Ravi Shankar Madrassa to discover the deeper meanings and philosophy of the Djent-cult. We are not looking for a replacement." Just days before Olympia, Washington-based 20 Buck Spin sets mysterious metal legion, DEAD IN THE MANGER's, Cessation LP loose upon the public, investigative metal webzine, Steel For Brains, has hosted an exclusive stream of the entire torrential album. The follow-up to the anonymous act's malicious Transience EP, released approximately a year ago,DEAD IN THE MANGER's ominous objective is made all the more evident on their debut full-length endeavor, Cessation. The album surely unleashes the expected searing and blast-driven grind/black metal alloy as its predecessor, yet also explores much more spacious and trance-inducing textures, opening portals to new realms of their insidious dimension through six unnamed movements. Once again, the identity of the members and the origin of the outfit remain anonymous to allow their belittling delivery to be the focal point of their auditory rapture. Digging into the band's collective dead heart for insight into Cessation, Steel For Brains has interrogated the band alongside an exclusive early listen to the entire album, issuing, "Cessation is defined as the process of ending. If that journey into the terminal blackness of our end ever needed a soundtrack, DEAD IN THE MANGER just greased the rails." Explore DEAD IN THE MANGER's entire Cessation at Steel For Brains through THIS PORTAL. The band's Handshake Inc.-directed video for "II" was recently premiered via Decibel at THIS LOCATION. 20 Buck Spin will officially release Cessation this Tuesday, February 3rd, on 12" vinyl and through all prime digital outlets. Orders for the LP and shirt packages can be placed HERE and the digital HERE. Whether grinding forth in a cascade of blinding black metal violence or cloaked in despondent post-rock gloom, Cessation leaves no space for hope, compelling the paradoxical embrace of suffering, the album shrouded in appropriately bleak artwork courtesy of Misanthropic Art (Secrets Of The Moon, Hooded Menace, Attic). The machinery of plutocratic slavery, churning and grinding the spirit of life until little remains but the last gasp of a doomed humanity, a cessation of the primal light in an absurdist nightmare. Noisey/Vice issued in part of the album in an early track premiere, "it's even better than their first EP. Smoldering black metal, gloomy post-rock, and flourishes of technical, melodic death congeal into something diabolically unique. These dudes know what they're doing." Metal Insider reviewed the record, praising, "DEAD IN THE MANAGER are a band on a mission, not unlike an army marching to war, knowing they will try like hell to take everyone down with them when they go. Yet, no matter how fast and pissed this album gets there are still those ever-prevailing elements of somber isolation and dread. Needless to say that Cessation is an album not recommended for those of weak constitution. It's the type of album that would chew you up and spit you out if you let it, like an owl depositing the remains of its kill in unwanted little piles." With a 4/5 rating, Skulls 'N Bones' review included, "it's obvious that DEAD IN THE MANGER put a lot more thought into the composition and arrangement of their music than just brutality and aggression," and Meat Mead Metal's rave critique offers, "DEAD IN THE MANGER are well on their way to establishing themselves as one of the most vicious, hopeless (philosophically, that is) bands in the extreme metal arena. They don't give a damn what they throw into their poisonous stew, as long as it maims and continues to give off a sense that everything they know is horrible and eventually going to destroy." It is with extreme pleasure for Germany's Exile On Mainstream to announce the label's next priority release, with the second collaborative album by one of the most strikingly natural singer/songwriter duos of these troubled modern times, SCOTT "WINO" WEINRICH and CONNY OCHS. To backtrack a bit, the union of these two gritty, passionate musicians took place in 2010, as American doom/rock legend, WINO (Saint Vitus, The Obsessed, Spirit Caravan, The Hidden Hand) was touring Europe on his own first full solo album, Adrift, which had just been released by Exile On Mainstream. Simultaneously, contemporary German solo vocalist/guitarist, CONNY OCHS, was preparing to release his debut solo album, Raw Love Songs, through the same label which saw the two artists billed together on this European trek. From there, an instant bond was formed, both as musicians as well as just like-minded humans. Instantaneously, musical ideas formed within this new brotherhood, which quickly grew into a courageous collaborative full-length studio album entitled Heavy Kingdom, released by Exile On Mainstream in 2012. The album showcased the organic songwriting skills through an incredibly passionate delivery. Heavy Kingdom elevated both artists as top-notch contemporary singer/songwriters in the eyes of the media and fans alike, and saw the duo taking their songcraft to the road heavily across Europe as well as North America. That was just the beginning, as, since Heavy Kingdom was just seeing release, the pair had already began talking about "what was to come" in reference to new material they'd began plotting together. The time is now, as the second chapter from WINO & CONNY OCHS has recently been completed, the project actually having remained virtually unannounced and taking place behind closed doors over the past few years. With the artists being based on two different continents and remaining busy with their own solo endeavors, an opportune time to convene for some songwriting time never arrived, and the pair began trading ideas via email. This was not something that at all brought forth the magic and mastery which took place the first time, and after months of writing, the idea was scrapped, and last year,WINO voyaged back to Berlin to rendezvous with OCHS. Recorded again at Kabumm Studio with producer Thommy Krawallo, as was their Heavy Kingdom LP, the newest collection of ambitious, harrowing and beautiful music created by WINO & CONNY OCHSnot only brings forth the same quality of organically conceived folk/rock fans of the previous album should expect, it simply excels in every imaginable aspect, and now awaits release in early 2015 through their trusted alliance with Exile On Mainstream. Bearing the title Freedom Conspiracy, the record was written and recorded entirely with WINO & CONNY OCHS performing all instruments together, the approach slightly different from Heavy Kingdom as it has been created in a much more organic way with rudimentary ideas brought in by each and then carved into songs by both together. Fusing acoustic and electric guitars and with both artists' standout vocal styles searing through these thirteen well-crafted brand new hymns, the initial recordings of the album date back to over a year ago, but even though the songs were done and recorded, these protagonists felt it had been rushed a bit in the end and final touches couldn't be made with both together in the same room for reasons of other obligations. So it was put to rest and matured several months. Earlier in 2014 both went back in and basically stripped everything down to the bare bones, started from scratch, arranging the tracks differently and all of a sudden it clicked and brought forth forty-five minutes of some of the most refined, dynamic and unforgettable folk/rock music in years. When asked what the album meant to the artists themselves, CONNY OCHS states: "Freedom Conspiracy means companionship. It means to have each other's back. This album is about losing and finding belief. And fighting for it." Adds WINO on the album: "Shits changin' fast. With war on every corner, political theatre becoming increasingly more offensive, and Big Brother and the Globalists intensifying their slow takeover, we offer sounds and vibrations of love, death, happiness and pain! With this music and verse we hope the songs will inspire and uplift, and hopefully unite our searching spirits." With cover art by WINO & CONNY OCHS, Freedom Conspiracy will see deliverance on CD, LP and digital download in the US on March 31st, 2015, both LP and CD versions to be available from Earsplit Distro for wholesale and retail purchase (the LP exclusively) The release will be followed by international touring from the duo to be announced throughout the year. Fans of Woodie Guthrie, Townes Van Zandt, Steve Earle, Bob Dylan, The Black Crowes, Scott Kelly, Mike Scheidt and the like should make sure this duo is on your radar. Stand by for audio samples and further release/tour info from WINO & CONNY OCHS' Freedom Conspiracy campaign all year. 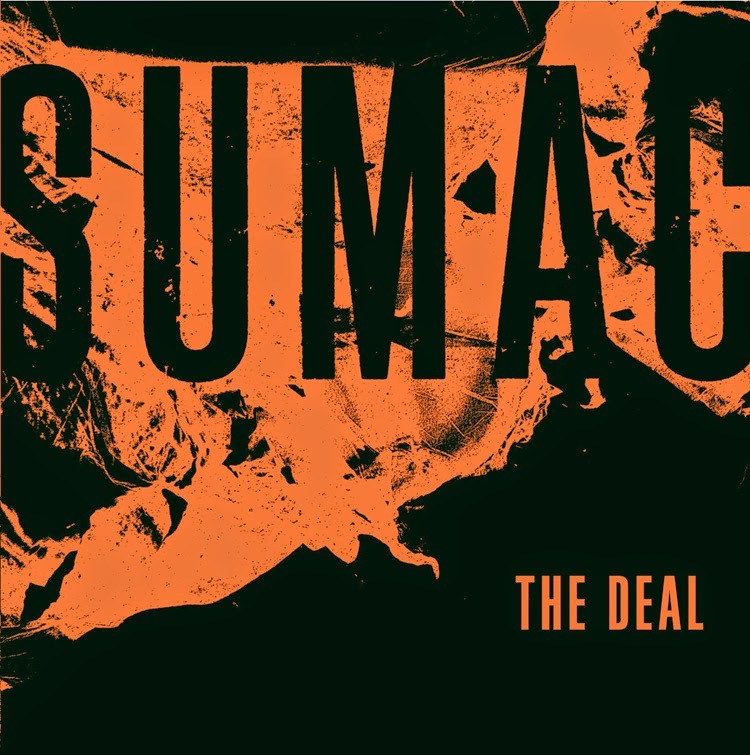 SUMAC’s debut is undoubtedly among the most anticipated releases from the heavy underground in 2015. Featuring one of the most respected dudes in the industry, Aaron Turner (Isis, Mamiffer, Old Man Gloom) on guitar and vocal duty, Nick Yacyshyn (best known as the Grohl-celebrated drummer of Baptists) and having been mixed by Kurt Ballou. Bass player Brian Cook (Botch, Russian Circles, These Arms Are Snakes) has also lent his hand to the project but is slated to remain mostly on the sidelines due to obligations with RC. With such a line-up, this was bound to be that highlight you need to the start the year. There’s no place for classical song structures in SUMAC’s dominion, almost all of the tracks steadily and violently unfold before you, the shifts in the course slowly revealing themselves through patient repetition, giving hints of where it all might be headed. Offering only a glimpse into this unforgiving realm, ‘Spectral Gold’ imparts with a feeling of trepidation, acting as a warning to heed the forthcoming onslaught. At the sound of the bell’s toll, you’re thrust into this harsh world. ‘A Thorn In The Lion’s Paw’ woundn't sound amiss as a soundtrack to a scene in a dismal murder mystery, where the protagonist finds himself amidst a situation that has escalated to the point of no return. The opening piano notes acting as a realization of just how far gone it all is. Briefly into the track, the threatening riffs and furious vocals come in at short intervals and set the album off to a very strong start. The fluctuating rhythm patterns leave quite a bit of headroom and give a solid sense of what one can expect from the rest of these tracks. There’s a direness unceasingly looming above your head throughout the album that refrains from clearly stating what exactly it embodies. The atmosphere doesn’t constantly stay this uncharitable though. As the second track draws to a close, a melodic piano-draped outro can be heard that quietly dissolves into the emptiness of a metallic-sounding room. ‘Hollow King’ carries on the menacing theme. The abiding guitar riffs increasingly feeding the foreboding feeling inside and Aaron’s strained calls, sound like a battle cry preceding an inevitable collision. The riffs here are so immersive and unrelenting and in combination with the repetitiousness of the drumming, completely seize you, delving only deeper into the fold. There’s so many differing ideas packed into this one but never do they feel as if the band were deviating from their path. Every thrust and pull is exactly where it’s supposed to be. The whole track is atmospheric and never loses that strong sense of the surrounding space, the room occasionally heard expanding and then closing in again. A most calculated cacophonic break-down leads to a turn at the seven-minute mark. With a sudden halt and a complete alteration in direction, the track comes close to something that could easily have featured on that acclaimed Baptists record of yesteryear. One of the highlights of the record has to be the culmination here though. Closing with relentless bludgeoning that’s set to a backdrop of decimating screeches, it leaves you scrambling for whatever parts of your brain remain. Unless you are feeling completely devastated beyond this point (which is highly likely), you will find the opening notes of ‘Blight’s End Angel’ resounding. As distorted as they’re presented, they’re strikingly ambrosial. These act as a harbinger of the comparative ease on offer throughout this one, in the wake of bygone annihilation. The track doesn’t remain wholly placid though, as it’s not long until the pace picks back up. The drums here sound especially driven, akin to a persistent trudge. Remarkably, the mood is elevating, opposed to the decimation of fore and really feels as an attempt at gathering the previously scattered debris to restore some well-needed composure. The squealing of the guitars here signifies a resolute endurance in staying the course. In my eyes, this is a definite contender for strongest composition on the whole album, really engulfing one’s attention the whole way through. The outro is a return to the beauty of its opening, calmly leading you towards the album’s imminent conclusion. In contrast, the title-track alleviates none of the pain roused on the earlier tracks and mercilessly plods on. With its increased focus ‘The Deal’ employs much of the same dread imposed earlier and returns to again eroding that firm ground you just barely found to stand on. The whole track is coated with guitar convulsions, with Aaron’s roars rearing their ugly head and some acute plucking interspersed throughout to add to the distress. At times, the vocals fade way out to obscurity, as if to further instil the notion that you’re completely on your own here. A couple of pace-changes and melodic interludes dispersed in between really accentuate the ferocious pummelling even more, as it blaringly returns. The last of such intermissions sets the stage for the remaining several minutes. What follows is a compelling break-down that is spent driving home some singular, nameless and thoroughly grievous notion, as if to make sure that all parties involved fully understood the ramifications of backing out of this sinister contract they’ve stepped into. The ensuing build-up is suffused with compelling urgency ceasing only as Aaron begins to grunt the album’s title like a frantic mantra. A cacophony of galling guitars finally carries you off to an unpleasant sort of bliss. Anyone that’s expressed diligence to come this far will be in for a reward as the only real consolation comes in the form of the closing track ‘The Radiance of Being’. The playing here is slightly reminiscent of Neil Young’s in Jarmusch’s Dead Man, albeit with a healthy dose of distortion. The guitar notes are stunning in their simplicity yet markedly glaring all the same, in their apex lamenting the arduousness of the undertaking yet ultimately leaving the tale inconclusive as they fade. As the last track draws to a close, one is left thinking whether ‘The Deal’ in question wasn’t one the band made with the devil. This debut has undoubtedly been crafted by some diabolically masterful musicianship. 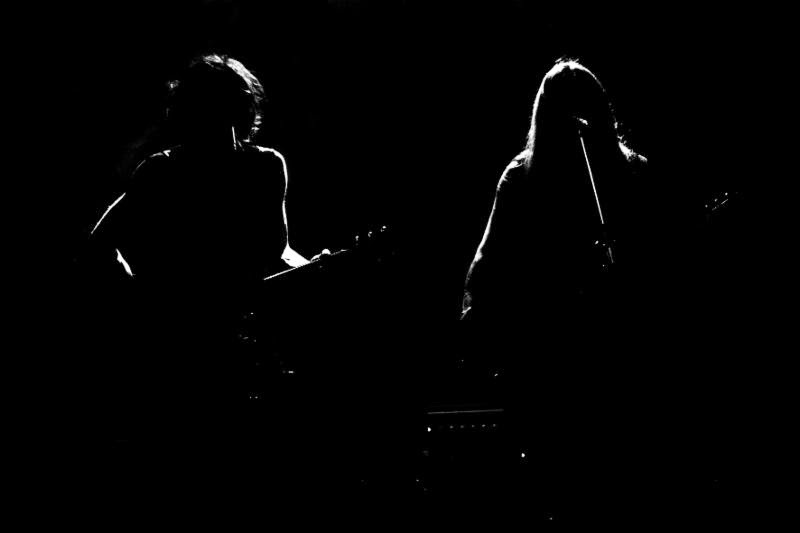 What SUMAC have come up with, sounds like a band that has been playing together for years, which is completely at odds with the fact that up until a month ago, all three of the members hadn’t had a chance to jam together for once. Despite such an arrangement, ‘The Deal’ really is everything we could have imagined, yet the resulting creation is no less astounding. Periphery is a band on the edge of exploding. They are one album from gravity losing its grip on them and watching haplessly as they ascend higher and higher up the heavy metal food chain. 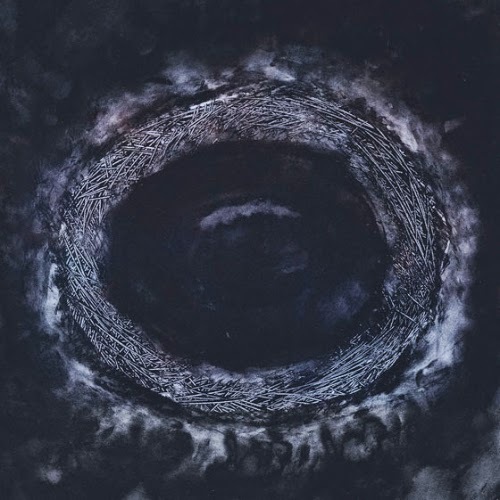 A marriage of paradoxical ideologies in their fat Meshuggahisms and sickly sweet melodicism, they have nestled into a niche entirely of their own making. They stride betwixt musical borders like nomads. and that unfortunately, is where the problem lies. Their conflicting mantra is at war with itself on 'Juggernaut', unsure of its true identity and purpose. 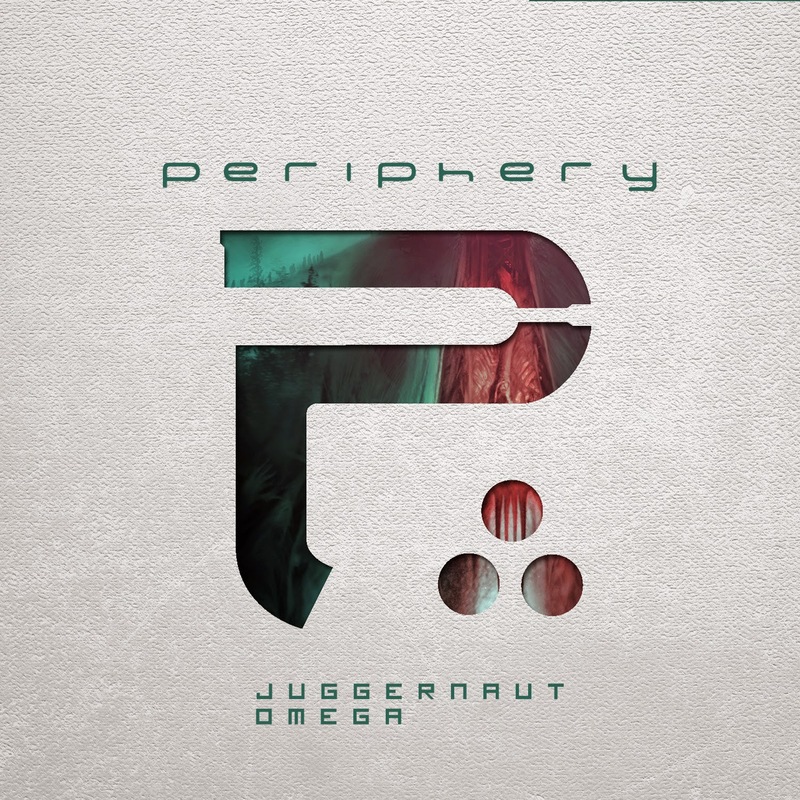 As I said earlier, Periphery are one good album from exploding, but I don't think this is it. Fans have been waiting for what feels like a lifetime for a full length follow up to 'Periphery II: This Time its Personal'. Last year's experimental EP, 'Clear' only whetted appetites more, so it is with anticipation rather than trepidation that we greet this record. But hype and excitement seems to have hindered this album's enjoyment: It falls flat of the expectations of many. It is by no means a bad album, but it is too scattershot and incoherent to be anything truly defining. When they get it right they get it absolutely spot on but when they get it wrong they do so with an air of disappointment. It's not that one of these two prominent styles is to blame. In fact, it's nigh on impossible to point your finger at anything specific. Sure, the poptastic pomp of vocalist Spencer Sotelo is something to make many of the Sludgelord readership retort in disgust like they've just eaten a stupidly sour tangfastic. But at points their bouncy, upbeat side is simply infectious. And there are times too that they’re heavier than a leviathan's piles. Riffs and discordant, demonic guitar work loses sight of engaging musicality. 'Alpha' is a fine example of the former, with more hooks than a fishing emporium; it is quite simply a djent-ified radio friendly pop song - albeit one played with 7 string guitars. But it works. From its SNES intro to its mincing chorus, it pulls you along for a joyride. For the latter, 'Hell Below' is damning evidence. It's brutal, with a gale force low end, but it seems heavy for heavy's sake, executed with a lack of character. Then it dips into an unexpected jazzy lounge music movement in its final throes. This is where another problem lies. Progressive music such as this is inundated with winding meanders that defy expectations, bend genres and plonk a stick of dynamite in a pigeon hole before running like hell. The issue here is that, instead of giving songs the gift of spicy variety, it unsettles the flow of the song. On 'Four Lights', an instrumental number amass with mind-bending time signatures and savage riff work that typifies the unrelenting side of djent, all the magic is ruined in the blink of an eye. It drops to an almost circus like ditty before picking up the pace once more. But as soon as that dynamic shift takes place the song advances without actually going anywhere. That is but one example in an album littered with jittery structures. The album as a whole lacks continuity. The thing is, every member in this sextet is a writer and a producer in their own right, hence the experimentation of 'Clear'. So have too many cooks spoilt the broth? It certainly seems that way. Most songs are pulled by the current of a different stylistic opinion or ideas. It seems, on the surface of the finished product at least, that an internal battle for each musician present to stamp their own personality on the record has hampered the record's own personality. That is why this isn't a defining album, not in the way 'Periphery II' launched them to where they perch today, a stone’s throw from selling out massive venues. But those moments where they do hit the nail bang on the head are well worth a visit. 'Rainbow Gravity', a definite highlight, is boisterously groovy and when they segue from heavy to clean cut, suited and booted melodies they do so smoothly. The solo too, very much classical in their countenance, with sudden bursts of pace sharpening their edge are highly impressive. 'Omega' has some gratifying moments too, but at 11 minutes long, you'd expect some worthwhile substance in which to divulge. '22 Faces'' chorus is massive and as addictive as they come while 'Graveless' does its best to rip open the ground below you and send you tumbling into hell. It is catastrophically impactful, the musicianship simply astounding. A song iced with another catchy chorus, this is the Periphery that so many have come to know and love. This is the Periphery which just isn't apparent enough across this double album. A double album! Quantity, sadly - especially considering the amount of time the band has been working on this - has vastly outweighed the quality. Perhaps they have become too bogged down on this project, the magic of spontaneity not being able to flourish amidst six creative minds meticulously mapping it all out. 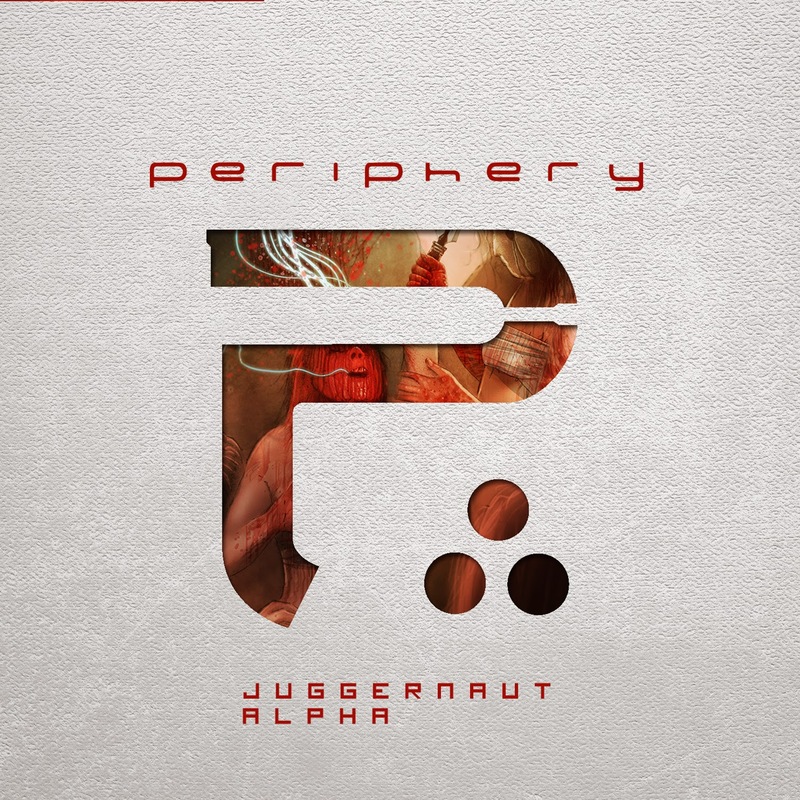 So to repeat, this is not a bad album, but nor is it the album the Periphery faithful - Peripherites? - were hoping for. There are moments of genius across both 'Alpha' and 'Omega', but they are outnumbered by mundane tracks too unsure of themselves to convince you that this band is ready for the big league. It's not a league at all out of their reach; they just need to spend a few more seasons working towards that much sought after promotion. BEHEMOTH - H.P. Lovecraft and his followers wrote of an ancient tome called The Necronomicon, written by a mad Arab. The book was bound in human flesh and was said to contain spells that could destroy the world. Not to be outdone, Metal Blade Records will publish an authorized 490-page biography of Polish black metal legends BEHEMOTH. The hardcover volume, Behemoth: The Devil’s Conquistadors is written by Łukasz Dunaj and focuses on the band’s music and their rise in the metal world and within their native land. The book will be released February 24, 2015. SORCERER - Exactly one month later, on March 24, Metal Blade will release the label debut of newly signed epic doom band SORCERER. The Swedish veterans have been working on new material since their re-formation in 2010, ‘In the Shadow of the Inverted Cross’ is the fruit of those labors. "[We] are proud to have signed with the legendary metal label Metal Blade, home of many bands that has inspired us to start making music,” the band said in a press release. “With the new album In the Shadow of the Inverted Cross we hope to continue where we ended many years ago. It is all the fans that have supported us through the years that has inspired us to do this album and we really looking forward to meet you all on gigs and festivals soon!" Although the band originally formed in 1988 and have released numerous demos and compilations, ‘In the Shadow of the Inverted Cross’ will be the band’s first official album. It will be released on CD, vinyl and digitally. Pre-orders will be taken at this location. You can also watch the music video for “The Dark Tower of the Sorcerer” at the same location. 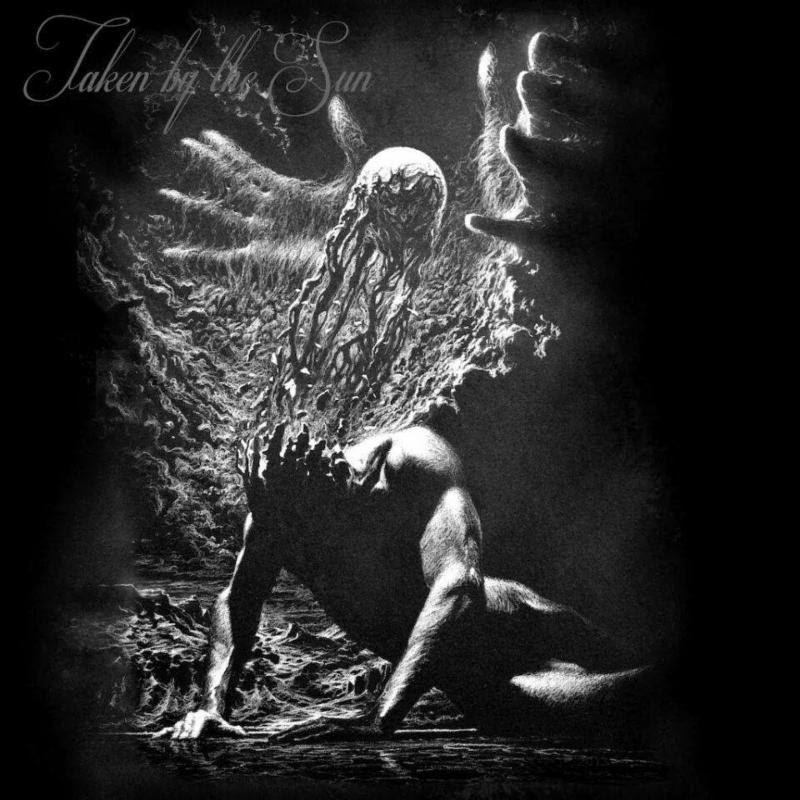 TAKEN BY THE SUN - Chicago post-metal doom quintet TAKEN BY THE SUN will release their debut album February 24 independantly on bandcamp. The band originally formed in 2011 and released a 5-song demo back in 2013. They take their cues from bands like Neurosis, Isis, Pelican, Rosetta, Mouth of the Architect, Red Sparrowes and The Ocean “without replicating them” a press release said. The band has made the closing track, “Ornaflux” available to stream and download with the pre-order of the album. If it’s any indication of what the rest of the album will sound like, the band is in no fear of sounding like anybody else. You will find the album and the pre-order at this location. And now you’re all caught up in the world of sludge.